Before we get into The Best Headphones for Bass, grab a snack, sit back and relax because..
Budget King #4: The open back Sennheiser HD558 Review!! Budget King #5: The closed back Status Audio CB 1 Review! Budget King #6: The open back Grado SR80e Review!! 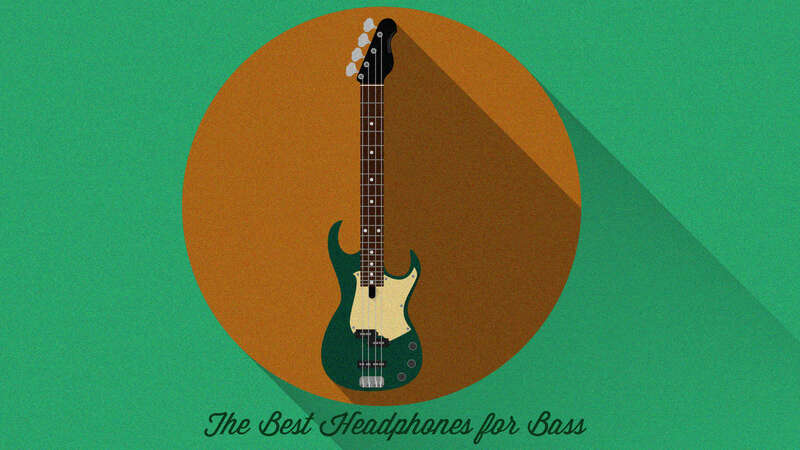 Determining the best headphones for bass doesn’t always mean a bass that slaps you in the face. Sometimes all we’re looking for is a low end with texture, nuance and detail. We’ll also cover some bass that does roll off but provides an incredibly accurate and eye opening experience. With that, let’s talk about some considerations you should take into account! Budget. How much are you willing to spend or what is your price range? We’ll try and cover a range of headphones from the most affordable to a few that are very expensive (but well worth it). Intended Use. Will you be primarily in studio or on the go? We’ll go into some of both today. Closed or Open? In line with that, you’ll need to decide if you want a headphone that blocks sound or lets some in. We’ll discuss some of each today. Closed back vs. Open back headphones. Now let’s get into some great options! Audio Technica ATH M40x. This is the first headphone I would consider and perhaps the only one you’ll need for Bass. It’s got a hard hitting but still not obnoxious low end, with plenty of clarity and detail in the mid-range and treble. It can come across a tad bloated in the mid-bass, but it’s nothing to fret over. Learn more about the #3 Budget King: Audio Technica ATH M40x Review!! Sony MDR7506. This will be a bit better for bass than the V6 as it has slightly more emphasis. This is one of the main reasons I recommend the V6 over the 7506 for mixing, though both are very similar. Learn more: Sony MDR7506 Review! Sony MDR V6. The second option to consider in this budget price range is the MDR V6. It has a more neutral bass response in comparison to the 40x, but still has some nice impact. In fact, whenever I’m referencing sound, mixing a beat, or evaluating how vocals sound, I always reach for the V6 before anything else. It’s the quintessential closed back reference can, and has been around since the 80’s. Learn more: Sony MDR V6 Review!! Philips SHP9500. Some people may read this and go “Huh?” The bass on the 9500 is rolled off considerably, but it sounds so detailed and transparent that I have a tough time not recommending these for bass. Why? Because I said so! Lol. No really, the reason is because the detail and texture is simply astounding, as if someone lifted a veil or blanket off of the sound and now you can hear everything crystal clear. Do I make myself clear Mr. Bender? “Crystall.” Learn more about the #1 Budget King: Philips SHP9500 Review!! V-Moda Crossfade M100. Out of all the headphones listed here, the M100 is probably the best example of a true bass head experience. It’s got plenty of detail and clarity, but also a low end that slams without becoming obnoxious or bloated. I was actually surprised at how good the imaging is for a V shaped can. Learn more: V-Moda Crossfade M100 Review! Beyerdynamic DT770. A headphone with an incredible comfort level and more life in the mid-range vs. something like an M50/50x. PSB M4U. One of my favorite underrated gems, the M4U does bass extremely well but also excels in regards to the entire sound signature. Comfort was excellent as well, as I didn’t budge them at all during a 3 hour session. Learn more: PSB M4U Review!! Focal Listen. This bad boy does something a little bit different than the norm in regards to mid-bass. Instead of a hump, it takes a decline around 100-200 Hz. I much appreciated this as I didn’t get that slight bloat that I do with other headphones. Highly recommended. The Listen is a very crisp experience, with some added bass impact for good measure. Learn more: Focal Listen Review! Sennheiser HD25. If you’re looking for an intense slam, the HD25 is what you’re after. These will undoubtedly be too much for some people, and do have a tendency to get overwhelming after awhile. But in short bursts I absolutely love them for Bass, Hip-Hop, Metal, and generally crunchy sounding, exciting jams. Learn more: Sennheiser HD25 Review! Audio Technica ATH M50x. The big brother to the 40x, these have more bass impact and an exciting sound similar to an HD25. The hot, peaky treble on the original M50 was tamed down, and they still sound great for Bass despite some hatred in recent years. Not sure why, as they are still a worthy headphone for the casual consumer. Beats Solo 3. Yep, Beats finally go their act together and the Solo 3 is a great portable headphone. In fact, being Bluetooth and wireless makes it really valuable for the average consumer looking for the complete package. This is one of only 2 headphones right now that I can safely recommend from Beats. Learn more: The Best Beats Headphones! HIFIMAN HE400i/HIFIMAN Sundara. Either of these will provide some nice bass impact and an open sound signature with plenty of detail and clarity. I prefer the Sundara, but there’s been talk of some quality control issues. I personally thought the build quality was astounding, but I only can go by the model I demoed. Here’s my 400i Review: HIFIMAN HE400i Review. I am also going to link the Sundara video below. Beyerdynamic DT990. This is perhaps the quintessential open back bass head can, with a crispy character and a treble that will be somewhat bright to people. I didn’t notice it as much as others. The sound is very open and detailed, and comfort is the bomb! Bowers and Wilkins P9. I didn’t really like the sound of the P7, but the P9 is absolutely fantastic, and I’m not sure why there’s such a huge difference. The P7 comes across as very muddy/bloated, and stuffy, while the P9 is crisp and clear with a phenomenal bass response. Learn more: Bowers & Wilkins P9 Review!! Audioquest Night Owl Carbon. Great for bass, and they are some of the most comfortable headphones I’ve worn. The sound signature is on the warmer side, with an extremely pleasurable overall sound signature. This is the type of headphone that you can put on and immediately enjoy. Learn more: Audioquest NightOwl Review! Sony MDR Z1R. Wow is all that I can say. This is one of the most open sounding closed backs I’ve ever heard. In fact it is the most open sounding, and it’s incredible just how spacious and airy it is. I would describe the sound as extremely natural but with a lot of impact and clarity. They are also extremely lightweight but don’t feel cheap. Learn more: Sony MDR Z1R Review!! Audeze EL8. Some of the most revealing cans in this price range, the EL8 provide exceptional clarity and detail a long with a smooth, crisp bass response that doesn’t get out of line. In fact, this beat was so clear and detailed that it was as if someone took a blanket off of the music, revealing details that I hadn’t heard before. Learn more: Audeze EL8 Review!! Focal Utopia. Yeah, this is basically your end game headphone, as there isn’t much out there that will sound better. For Bass and Hip-Hop, forget about it. These are some of the absolute best as they reveal everything, akin to grains of sand or garlic powder. The individual sounds in Hip-Hop and basically any genre come through with absolute startling clarity. Learn more: Focal Utopia Review!! If I were to recommend one true bass headphone, it would be the M100. What about an all around closed back for reference? SEE THE V6 FOR YOURSELF ON AMAZON!! All around closed back for bass/fun? SEE THE M40x FOR YOURSELF ON AMAZON!! Best all around open back? CLICK HERE TO READ SOME SHP9500 REVIEWS ON AMAZON!! Well that’s about it for today my friend! I hope you’ve enjoyed this article on The Best Headphones for Bass. The best headphones for mixing | THE SOLUTION!! Hi! What is your opinion on the Skullcandy Crusher wireless and Beats Studio 3 wireless headphones for bass? Haven’t heard the Crusher but I want to try it out. The Beats Studio 3 I got a chance to try out at Best Buy but of course they don’t loan them out. It actually wasn’t too bad. Kind of too bass heavy for my tastes but I’m kind of an audiophile so there’s that. Were those the ones you narrowed down? I’d love to discuss it further. Thank you for replying! I was also interested in the V-Moda Crossfade M-100 headphones. I just finished reading your review on them. I searched Amazon and found the V-Moda Crossfade Wireless marked down from $299 to $99! Can you tell anything about the difference between the two? Unfortunately have not heard the Crossfade Wireless but I’ve heard some good things about it. I’m in the market for a wireless headphone actually and it’s come down to the M50xBT, Grado GW100, and now I’m considering the V Moda Crossfade Wireless now that you mention it. I tried to be an audiophile, but it didn’t work out! I’ve purchased the Audiotechnica Ath-40x and 50x, Philips SHP-9500, and the Beyerdynamic DT770 (or 990) 80 OHM and wasn’t blown away. I did appreciate the headphones for what they offered, but I suppose I wanted something a little more fun. My son has the Beats Solo 2 or 3 and for the most part I liked what I heard. It was just a little too much bass and less of everything else. I’m hoping now to find a happy medium between the Beats and the other headphones I have purchased. Wow you’re quite picky there, picky Paul. 😀 Surprised none of those struck your fancy. The 9500 is probably my overall favorite headphone along with the Sony MDR V6 and HD600. The resolution is just incredible. Beats Solo 3 wasn’t bad! Being an audiophile now though (I think I can officially say it lol), the Solo 3’s signature isn’t something that I’m real into anymore. Used to be a bass head but the HD600 opened my eyes to that sort of thing. I love hearing bass textures much more than pure slam, although I still crave it from time to time. I think a happy medium between a Beats Solo and those others would be.. wow that’s a toughie. You may find the Crossfade Wireless to kind of mimic the ones you’ve already tried actually. I may not recommend that given what you’ve said, even at $100. When you say you “tried to be an audiophile and it didn’t work out” does that mean you wouldn’t really want to stretch your budget? If not, give the MDR 7506 or V6 a try. For me that’s the happy medium. The V6 still hits but it’s also more rolled off than your typical headphone. Haha! I think my wife would agree with you:) I feel really guilty for not enjoying those other headphones more. I also tried the Grado 80e as well! I purchased the 50x a week ago and expected there to be more bass, but found it to be lacking. It was definitely present and pleasant, but I wanted more oomph! I forgot to mention that I do not listen to hip-hop, pop, or electronic music. I listen mainly to classic rock, indie music, soul, alternative rock, etc. I read your review of the 9500’s and purchased them because of it. But did not find a huge difference between those and my apple EarPods. There must be something wrong with my ears. Well, technically, there is. I’m hard of hearing in my right ear – a lot of ringing in there. I tried to be an audiophile in the sense, that I’ve purchased quite a few headphones that audiophiles such as yourself recommend, but that I could not connect with. The skull candy crushers came in last night. I’m very pleased with them. Very similar to the Beats solo but $200 cheaper! However, I can’t help but feel there are better cans out there. I wouldn’t mind spending a few hundred dollars on headphones if it could net me what I’m looking for. I’ll research the HD600, V6, and MDR 7506. Excited to continue my search! Oh, any thoughts on the Sony XB950B1 and Corwin E7 pro (2018 updated). Oh yeah, I also listened to the Koss Porta Pro. I liked them, but could not wear them for too long without considerable ear discomfort. Maybe you can tell me what I should be listening for with the 50X (you liked those, right?) and what I’m not hearing with the Beats solo 3. I still have the 50x with me now. I appreciate all your help! Thank you for taking the time. Hey man! The 50x will be mostly bass but they did tame the treble quite a bit from the original M50 that I had for 5 years. It was a great headphone for me but I kind of prefer rolled off/flat bass now akin to something like a 9500 or Audeze LCD. I would suggest an Audeze but they are very expensive. What about something like An Audeze LCD2C? The 2C is the “Classic”, which is a re-work that Audeze has done based on their original LCD 2 (A fantastic headphone). It’s lighter on your head and more affordable. I would definitely have you check out the HD650 first as it will be better for more casual listening, with a bit more extra bass emphasis than the 600. The 650 doesn’t sound as shouty/forward in the mid-range. I think you’ll really enjoy it. Then if that doesn’t suffice for bass you could try the LCD2 Classic. I honestly believe the Classic will be exactly what you’re looking for given the genres you mentioned. I’m pretty sure I’ve heard the Sony XB950B1 and didn’t like it. Sounded much too bloated. May have been the N1 though that I heard. I get them all confused lol. Have not heard the Cowin. Keep me posted and definitely check out the HD650.